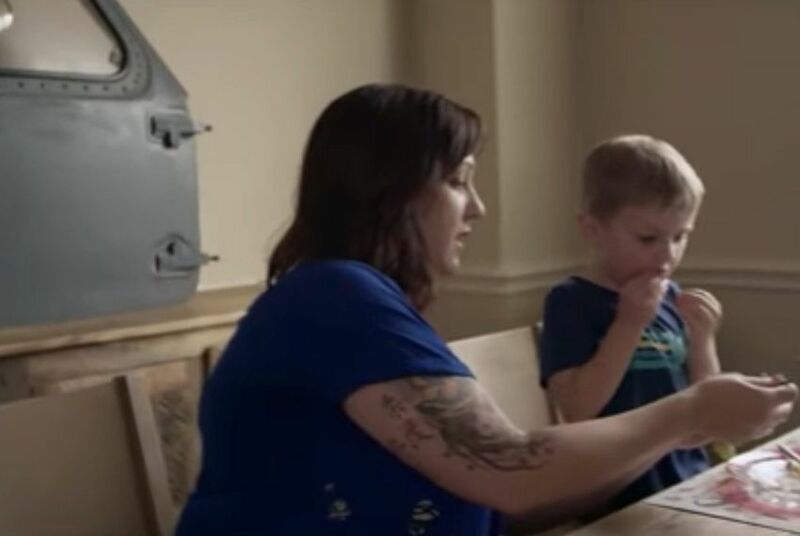 WASHINGTON – In the 10 days after long shot Democratic candidate and veteran MJ Hegar published her widely praised viral video, her campaign to unseat U.S. Rep. John Carter, R-Round Rock, raised $750,000. It's only the latest large fundraising figure reported by a Democratic U.S. House candidate from Texas, but it shows a stunning surge of interest in Hegar's candidacy. Hegar will report raising $1.1 million in the second fundraising quarter of the year, her campaign told the Tribune. Most of that came about from the attention drawn to her candidacy by her biographical ad, "Doors," which has been viewed more than 2.5 million times. The Hegar news came amid a cascade of robust fundraising numbers from Democrats vying to unseat Texas Republicans in Congress. Dallas attorney Colin Allred will report raising almost $1.1 million in the second quarter and having over $900,000 in cash on hand as of the end of June, per Allred's campaign. Earlier Monday, retired Air Force intelligence officer Gina Ortiz Jones of San Antonio announced she had raised $1.2 million. And on Thursday, Houston attorney Lizzie Pannill Fletcher reported raising "more than $1 million" in that same period. Allred, Jones and Fletcher are running in the state's three most competitive House districts, areas that re-elected Republicans to the U.S. House in 2016 despite Democratic presidential nominee Hillary Clinton drawing more votes than Republican Donald Trump. Ortiz Jones is taking on U.S. Rep. Will Hurd of Helotes for the geographically vast 23rd Congressional District that encompasses two major media markets, El Paso and San Antonio. Fletcher is running against U.S. Rep. John Culberson, R-Houston, in one of the most expensive media markets in the country. Allred is running against U.S. Rep. Pete Sessions, R-Dallas. If past is precedent, these candidates will deploy much of this money in fall television ad wars. Hurd is a perennially strong fundraiser and Sessions is the former chairman of the National Republican Congressional Committee – a position that entails raising hundreds of millions of dollars for the national GOP House campaign. Culberson has improved his fundraising over the last year as the viability of the Democratic offensive in his district has taken form. None of these incumbents have released their second quarter numbers. Fundraising reports are due on July 15. Hegar, however, is in a different category. Her race encompasses conservative areas along Interstate-35 and in the northern Austin suburbs. Carter, the incumbent, was first elected in 2002 and has never faced a serious general election campaign. But $1 million hauls for individual House campaigns isn't the status quo in American politics. In past cycles, candidates who raised $300,000-$400,000 were considered top fundraising performers. Jones' second-quarter haul means she has now raked in $2.2 million since entering the race — more than the 2016 Democratic nominee for the same seat, Pete Gallego, raised over the course of his entire campaign. At this point in the 2016 cycle, Gallego reported raising $327,000 in the second quarter and $1.3 million overall. But the contrast between this cycle and two years ago is even more striking in the other three races. National Democrats made no effort to challenge Carter, Culberson or Sessions in 2016. In that year, the two Democratic nominees challenging Carter and Culberson each raised less than $4,000 in the second quarter. Sessions didn't even draw a Democratic challenger. National strategists place a premium on individual candidate fundraising. Federal candidates secure lower television ad rates than outside groups. These Democratic hauls have the potential to place enormous stress on the nationwide GOP advertising campaign to hold control of the House. For instance, Hegar's rival, Carter, is a high-ranking member of the House Appropriations Committee, a powerful position that should help him kick up his fundraising. But if he cannot keep pace with her, the race may draw in GOP outside groups and the House GOP campaign arm to spend resources to hold on to a traditionally safe seat. That is money that could potentially be pulled away from Republican incumbents elsewhere in the country. Another sign of impressive Democratic fundraising in Texas is expected to come this week in the U.S. Senate race, where Republican incumbent Ted Cruz has been outraised by Democratic challenger U.S. Rep. Beto O'Rourke for four out of the last five fundraising periods. O'Rourke took his fundraising to new heights in the first quarter, raking in a staggering $6.7 million, more than double what Cruz raised at the same time. O'Rourke has not released his numbers for the past three months yet, but all signs point to another monster quarter. He's already raised nearly $3.5 million online alone during the first two months of the three-month period, which is more than Cruz took in overall in the prior period. Plus, O'Rourke has expressed confidence on the campaign trail, telling supporters at one recent stop that they outraised Cruz last time and they are "about to do it again." Cruz, meanwhile, said weeks ago that he expects O'Rourke to beat him again in the money race. Patick Svitek contributed to this report.